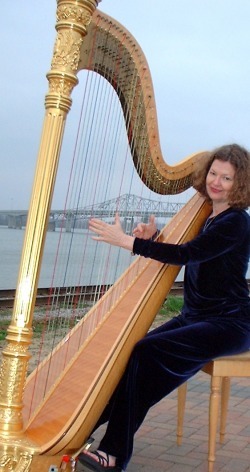 Distinguished harpist and instructor Marsha Gunter has been bringing the elegant sounds of the harp to Alabama for over 25 years. Marsha is available to perform for your wedding, reception, or special event. She plays a broad repertory of classical, spiritual, romantic, and popular songs to fit the mood of any occasion. Marsha has performed with the Alabama Symphony, Town and Gown, and at City Stages, The Birmingham Museum of Art, the Civil Rights Institute, and at churches across the region. She teaches harp at the Alabama School of Fine Arts and to private students.